Battery powered fan with mister. 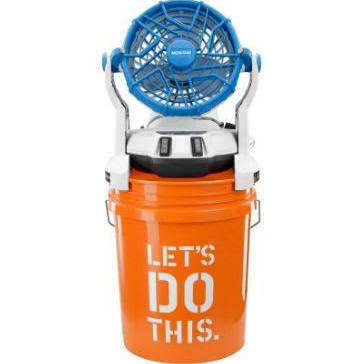 Place hose into bucket or connect hose to spray cool mist, portable for under tent, bar or kids soccer games. - This is a battery powered fan will only last approximately 1 to 2 hours. It is more for personal use not for large parties. Check out our other commerical fan and cooling mister rental products.